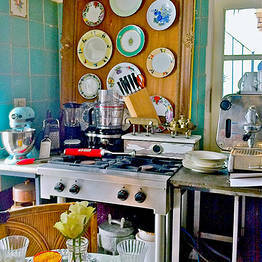 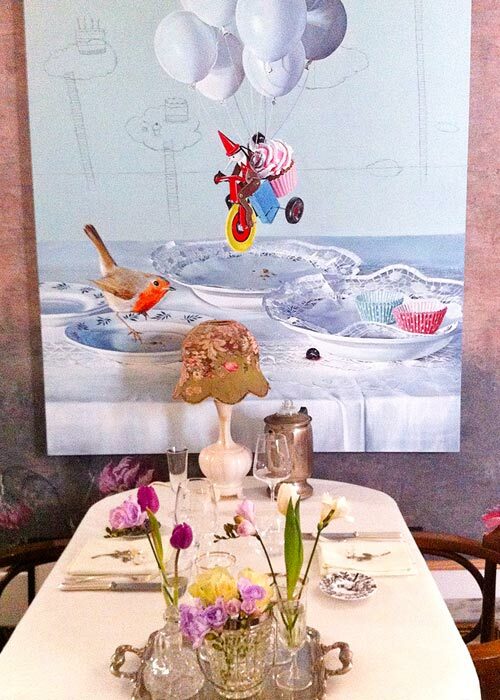 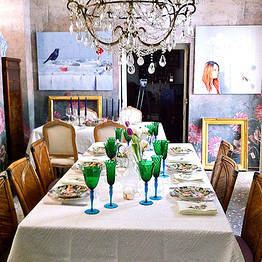 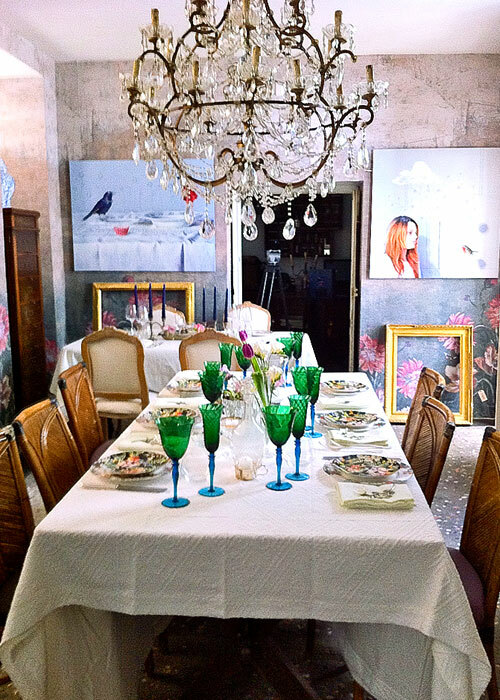 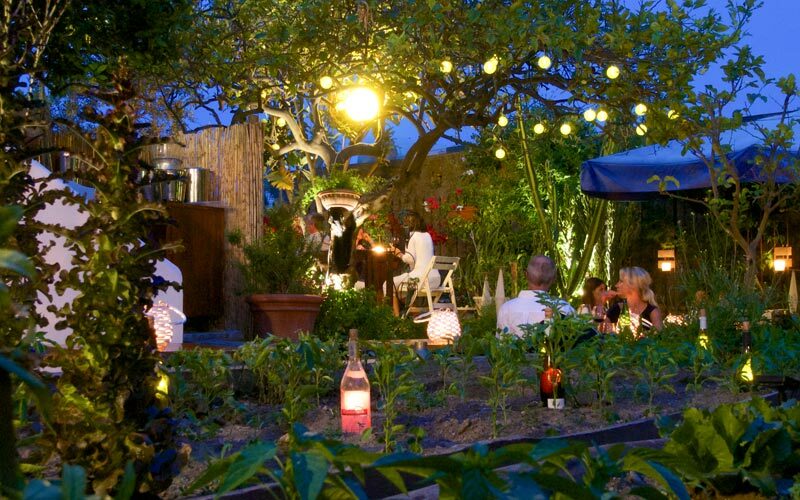 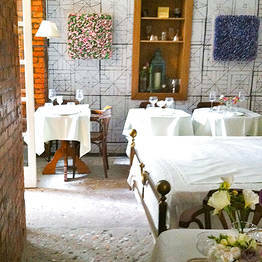 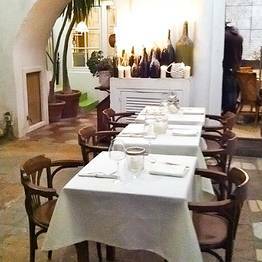 One of the best restaurants in Capri and one of the most unusual dining venues in the whole of Italy. 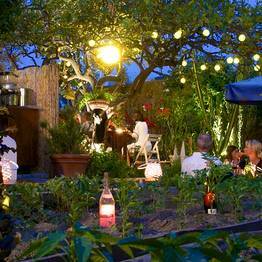 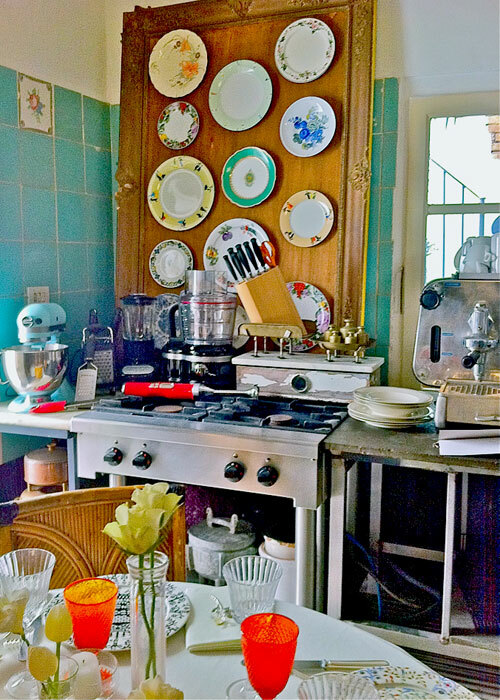 The perfect place in which to experience the island's fabulous cuisine and the only place where you can experience it sitting in a kitchen, living room or even a bedroom! 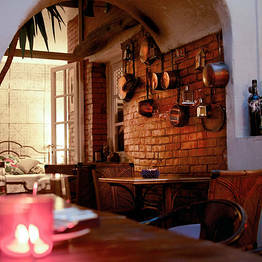 The name of the restaurant? 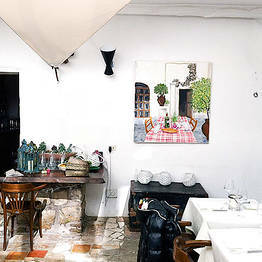 E' Divino. 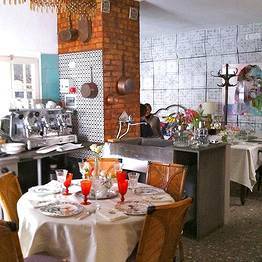 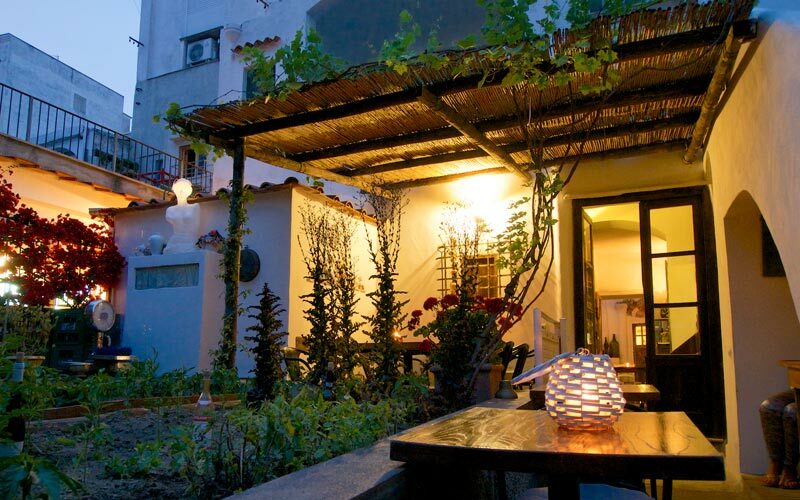 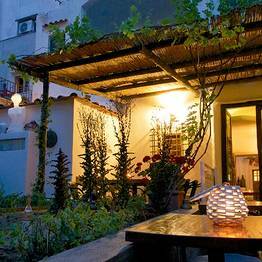 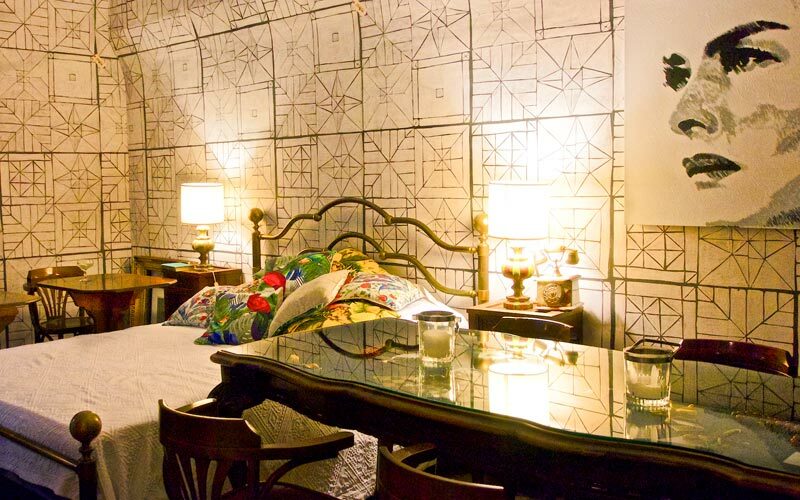 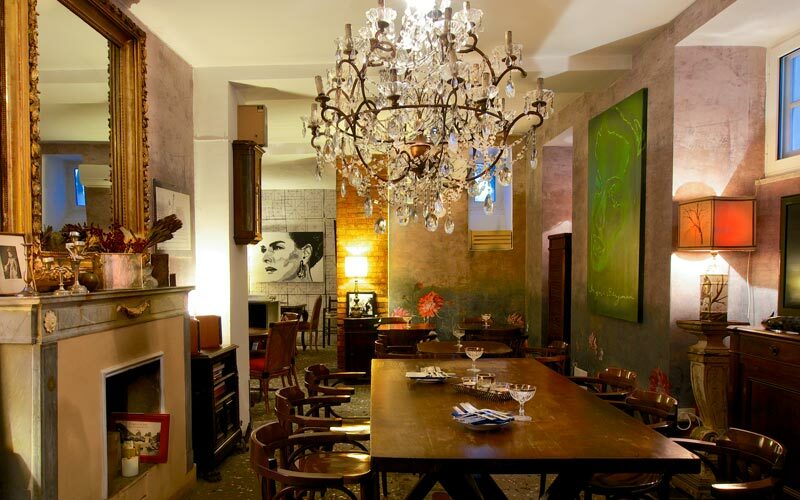 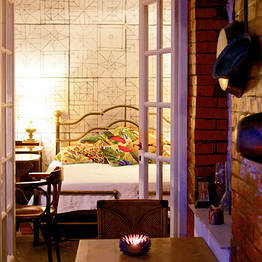 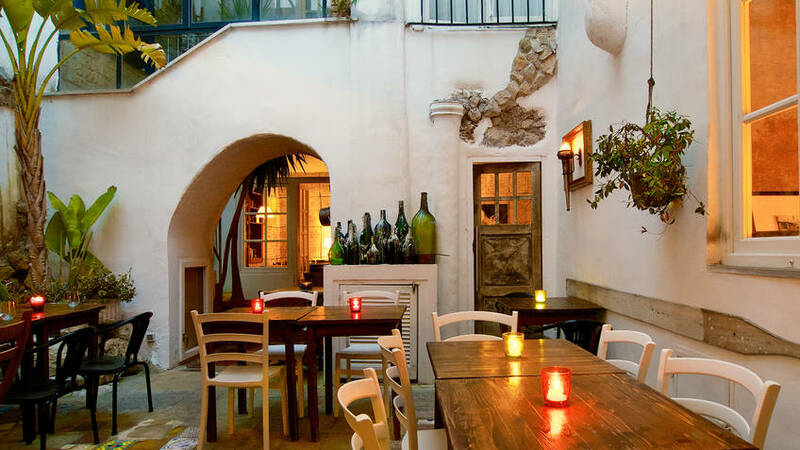 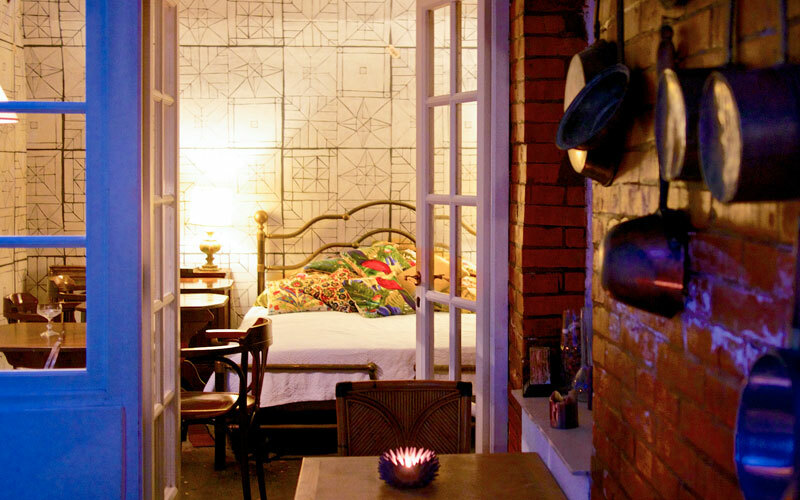 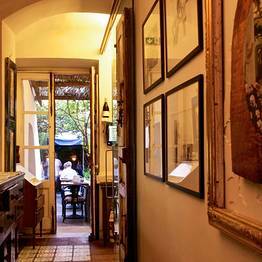 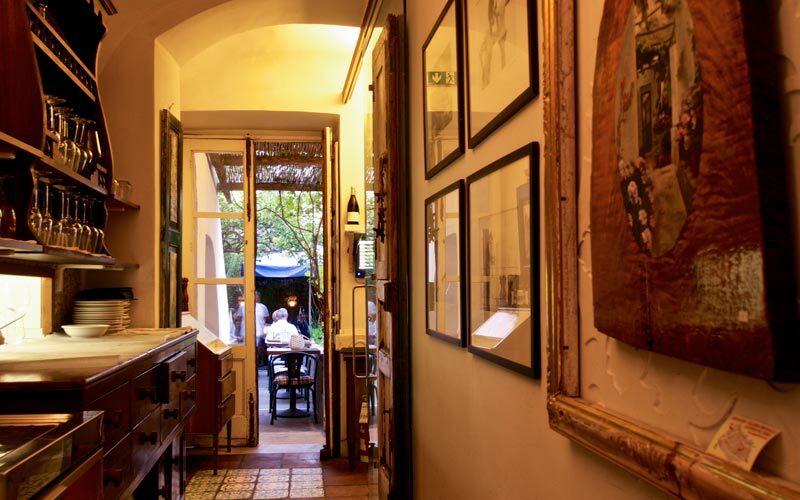 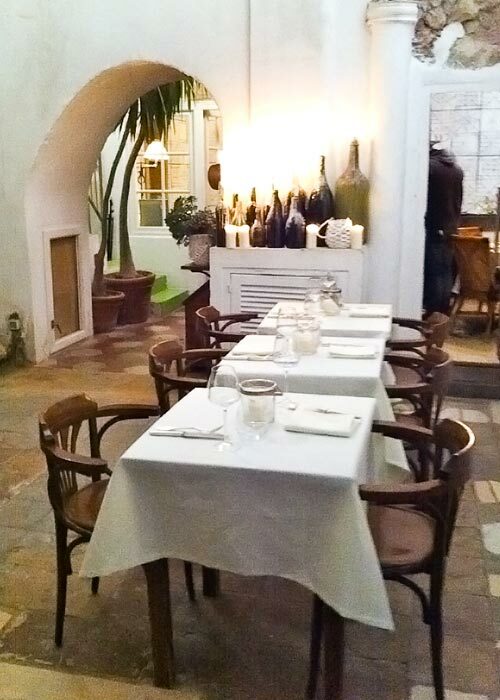 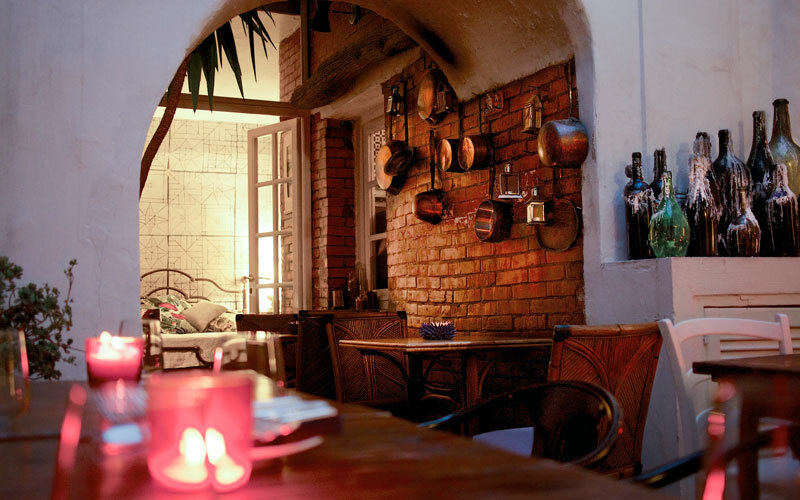 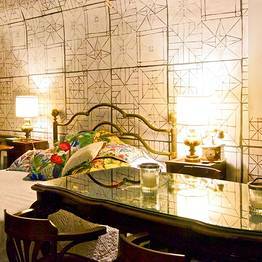 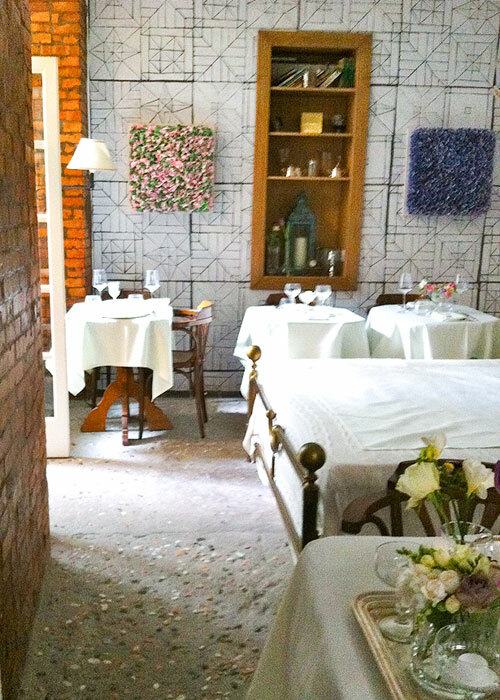 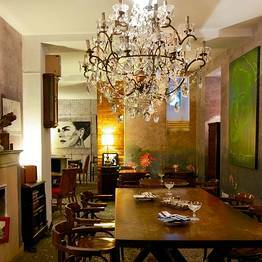 Once a private residence, complete with courtyard, lemon grove and garden, E' Divino still looks and feels very much like a home - a home bursting with bohemian charm. 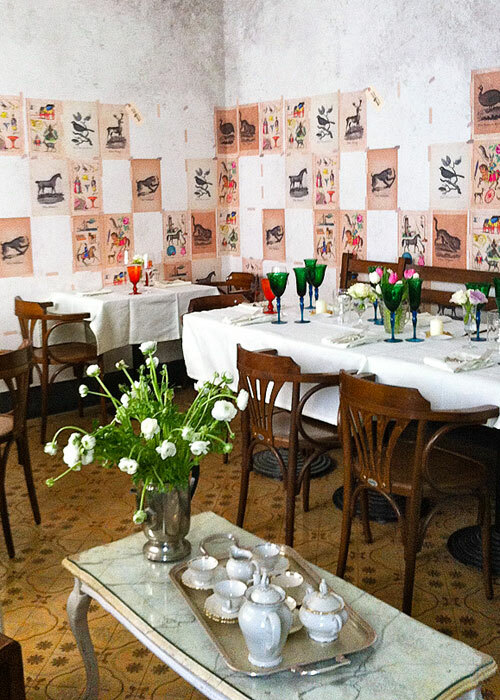 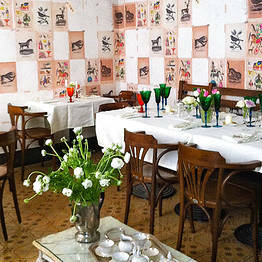 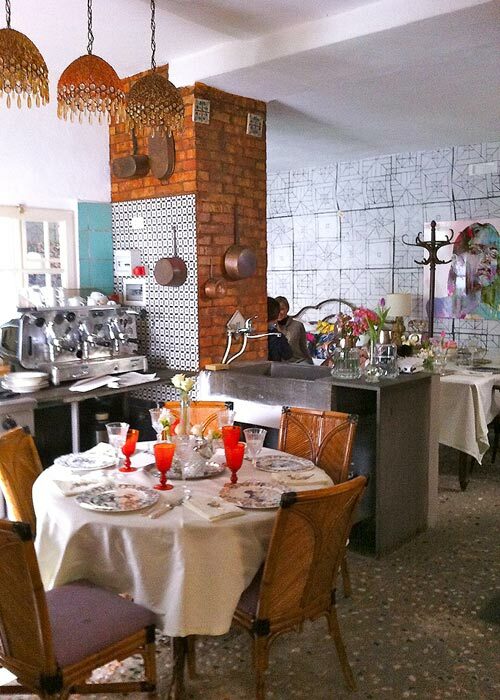 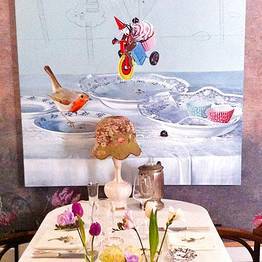 In what is by no means an ordinary restaurant, E' Divino's customers eat in the majolica-tiled kitchen, in front of the fireplace in the old-fashioned drawing room, or in the Viennese-style sitting room, surrounded by unique items of antique furniture, precious glassware, paintings (the frames of which have, bizarrely, been left leaning against the wall beneath them) and a lorry-load of vintage knick-knacks. 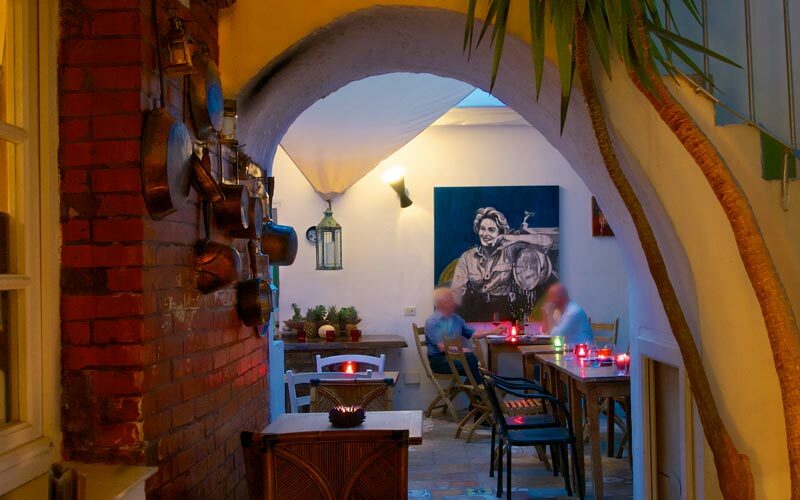 If you want to become one of the best restaurants in Capri, there's one ingredient you'll need a lot of - and that's passion. 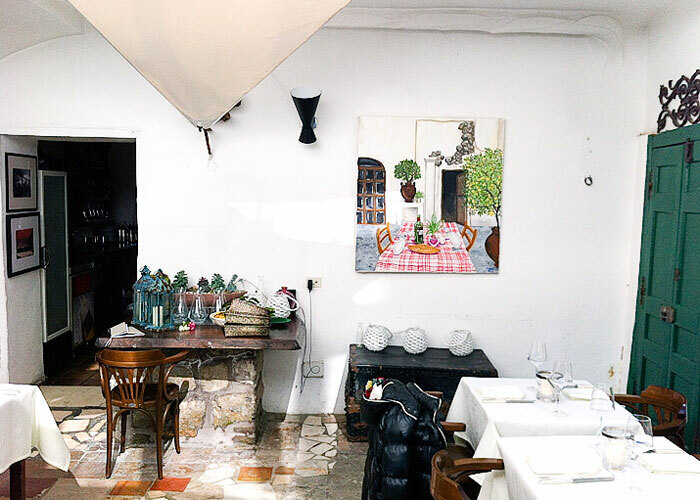 The kind of passion which drives E' Divino's chef to get up at the crack of dawn each morning and scout out the freshest fish and finest fruit and vegetables on the island. 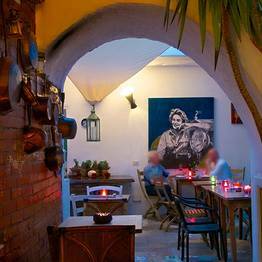 Capri, Naples, Italy and beyond: whilst the ingredients used to make them are all locally-sourced, E' Divino's Mediterranean menus take their inspiration from both near and far.